Increasing urbanisation and climate change are two of the great challenges of the 21st Century. Cities cover only 1% of the Earth‘s surface, but are already home to about 50% of the Earth‘s population. High population and infrastructure densities as well as concentrated economic activities make cities particularly vulnerable to the impacts of climate change. and need to adapt. 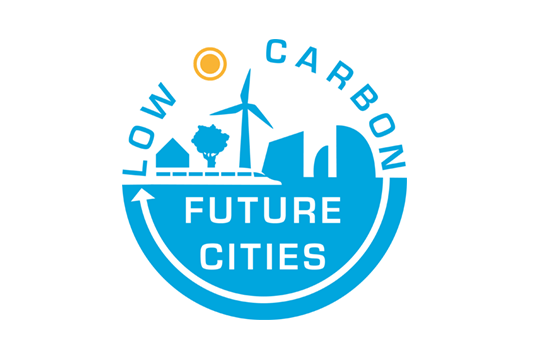 To develop an integrated low carbon, adaptation, and circular economy strategy for a city government in China and Germany that addresses the needs of political and industrial decision-makers and improves resource efficiency in order to de- couple resource usage from economic growth. To show good practice examples of sustainable urban development with a high potential for transferability, implementation, and replication in other urban areas. To stimulate dialogue among stakeholders from Wuxi and Düsseldorf to enable and actively support mutual learning and information exchange between China and Germany. At the heart of the project design is the principle of knowledge-sharing and cooperation between cities and regions. For China, Wuxi —a five-million inhabitant city near Shanghai— was identified as eager to pursue a low carbon path without having received financial support from large programmes. In Germany, the region around Düsseldorf serves as the counterpart as a densely populated region of high economic and political relevance, whose political decision-makers have recognised the challenge of climate change. The CSCP has the lead in four work packages focussed on bridging research and practice to enable successful implementation; communication strategy, low carbon entrepreneurship, retail for low carbon consumption, and a media campaign near the conclusion of the project in early 2014 to publicise findings and potentials on low carbon and resource saving consumption.